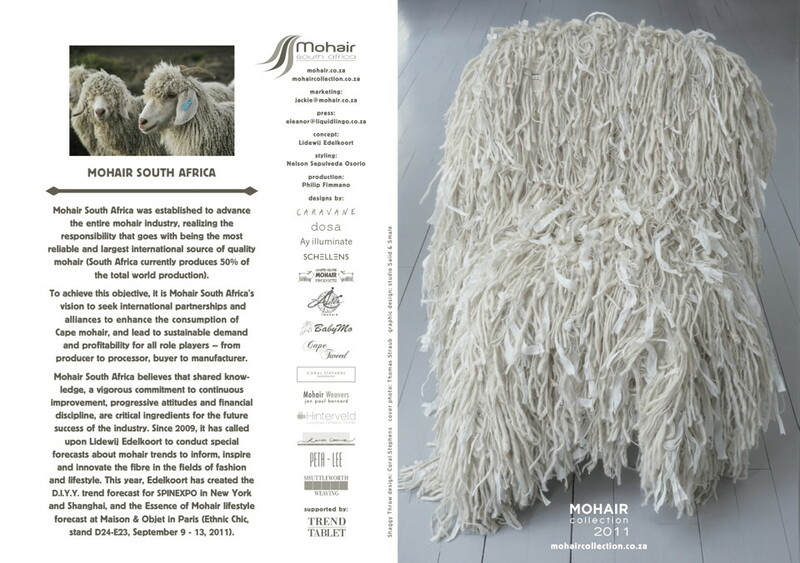 From September 7 – 11, 2012, Mohair South Africa will be exhibiting at Maison & Objet in Paris. This year’s stand is inspired by the travelling tribes: Nomadism animates a timeworn style that is faded by age, crafted by hand and coloured by beautiful dyes. This roaming spirit is now reflected by our flexible and wireless existence today and a revived interest in living closer to the floor; a yearning for natural materials like straw, clay, wood and flax, but also animal fibres such as mohair collected from the noble Angora goat. This is the second consecutive year that South African manufacturers will be presenting their commercially-available products at Maison & Objet; including many items that are being unveiled for the first time. 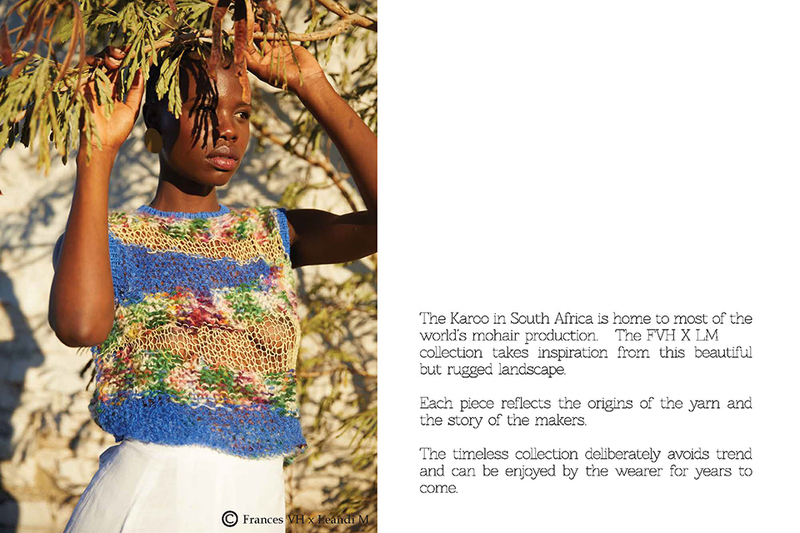 BabyMo will be launching its Jewel blankets, multi-coloured textures with hand-painted warps and varying wefts. Karoo Looms has produced a selection of striped rugs to reflect the nomadic theme and cover the stand floor, added to by other mohair rugs from Sally Arnold and Elsa Barnard. 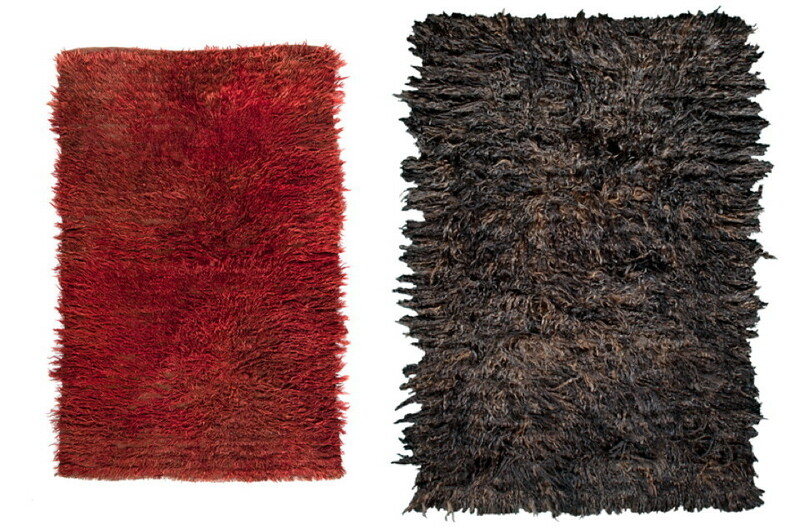 Peta-Lee is a felting expert and has blended 70% mohair with 30% wool to create contemporary accessories for the home. 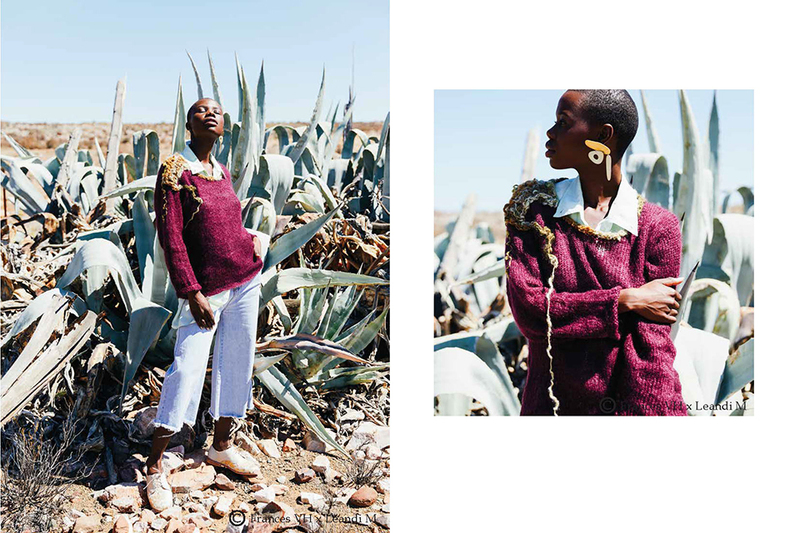 The Cape Town-based design studio Moonbasket has embraced mohair into its collection, experimenting with dyeing techniques and blending mohair with hemp and nylon. 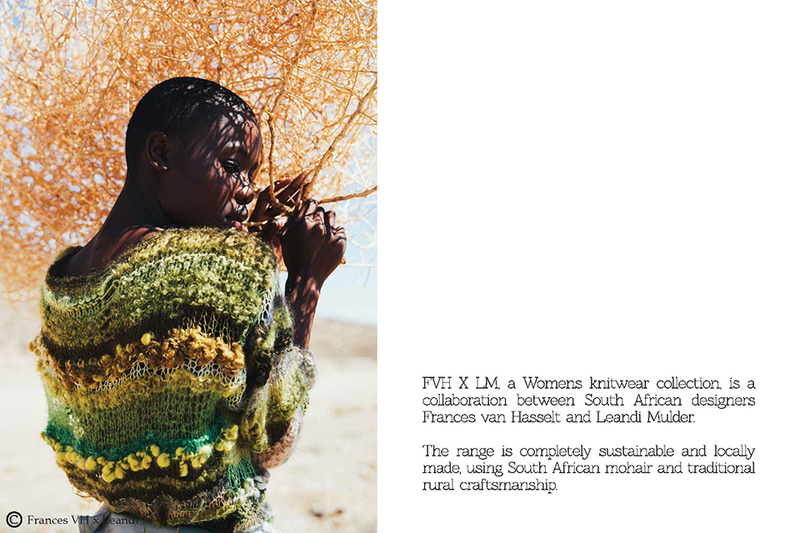 Other mohair products by Adéle’s Mohair, Cape Tweed, cowgirlblues, Heritage Weavers, Hinterveld and Mungo Designs will be on show. 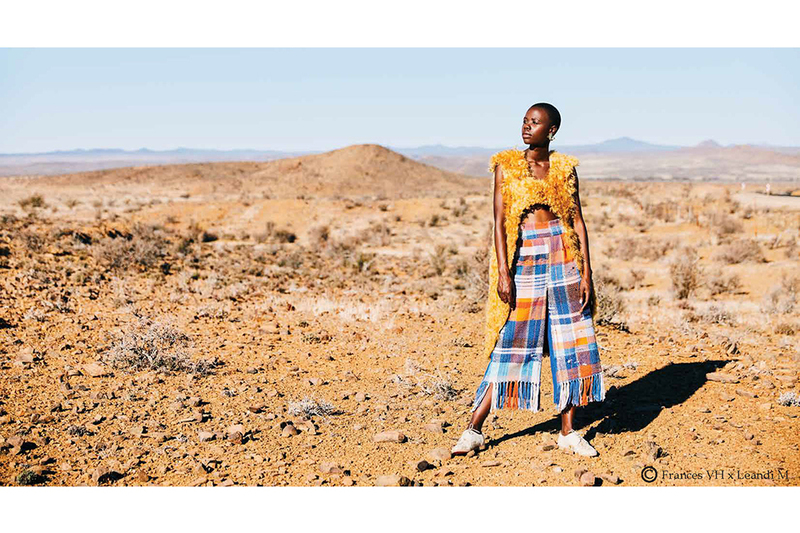 These items will all be housed in a wooden tent-construction inspired by nomadic architecture and covered in curtain fabrics and other interior textiles designed by Coral Stephens and woven in Swaziland. 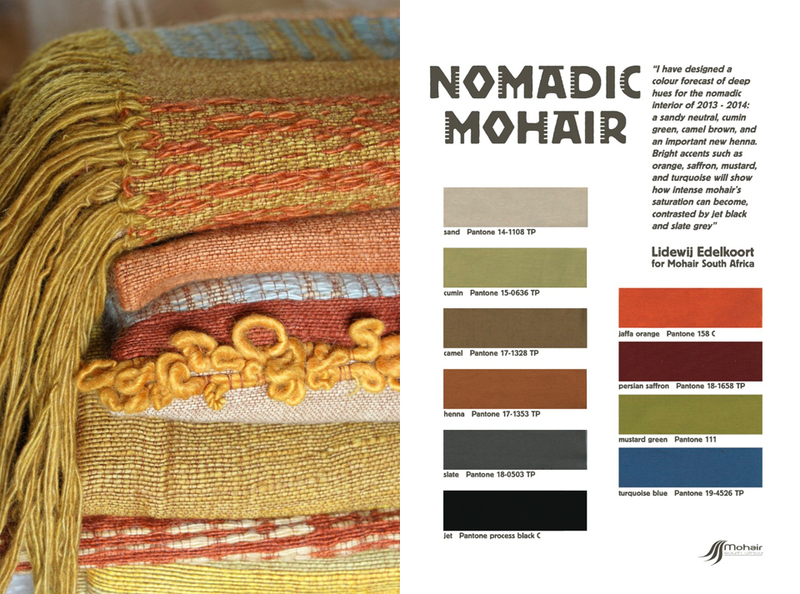 Edelkoort has designed a mohair colour forecast of deep hues for the nomadic interior (which can be downloaded below): a sandy neutral, cumin green, camel brown and an important new henna. Bright accents such as Jaffa orange, Persian saffron, mustard green and turquoise blue will show how intense mohair's saturation can become, contrasted by jet black and slate grey. Humble, versatile and honest in terms of its durability and character, mohair is a sturdy and reliable fibre with admirable insulation and sustainable qualities. Edelkoort predicts that “a drier and coarser hand will become desirable, as mohair begins to leave its strictly-soft days behind. 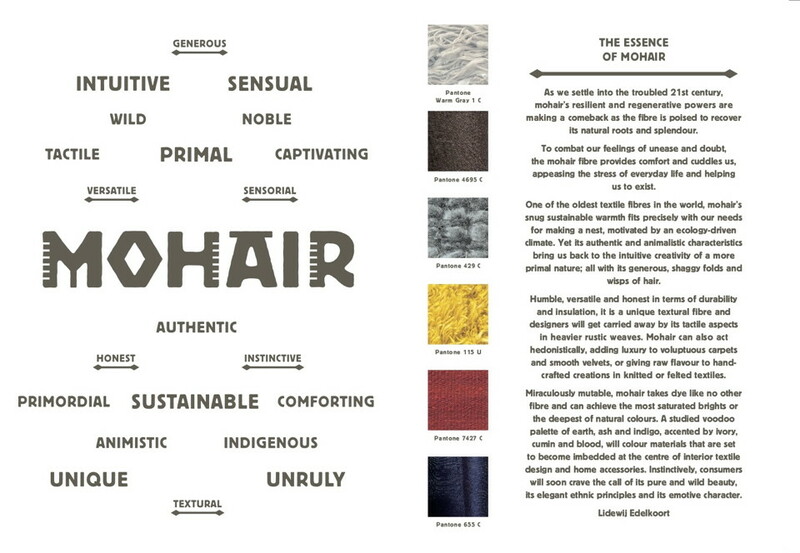 The evolving essence of mohair will enchant us for the seasons to come”. At Schellens, there’s no end to the possibilities for creating exclusive and original fabrics. The company’s distinctive range of textiles demonstrates the potential of the mill yet represents only a fraction of its capabilities. Schellens thus continues to develop new fabrics independently, as a source of inspiration for its clients, and in partnership with them. As the only European mill that dyes and weaves mohair velvets under one roof, Schellens’ velvets are unique and remarkable — the natural silky sheen of this regal fibre makes them a favoured choice for upholstery in luxury homes, private aircraft, touring buses, passenger vehicles, yachts and cruise ships. Schellens approaches the market for natural fibre weaves with insight and ingenuity. 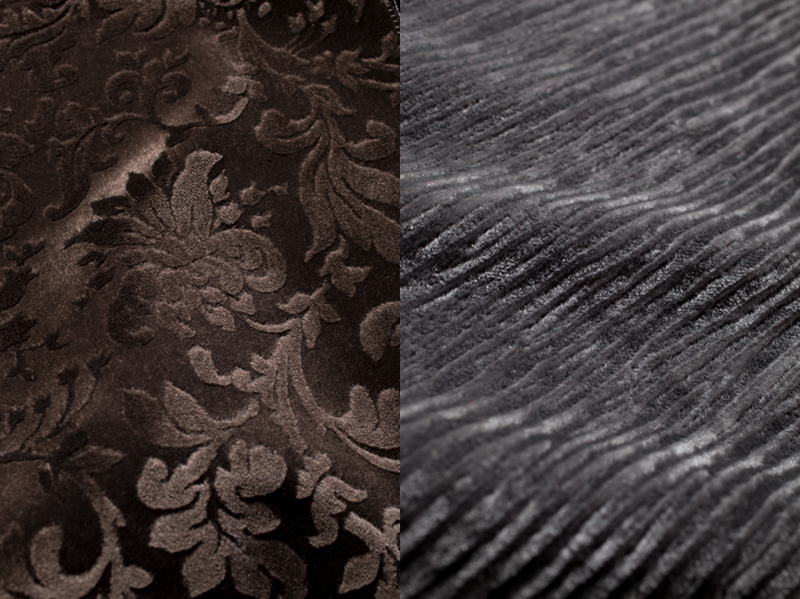 In 2012, it has invited Lidewij Edelkoort to revive a production process called "gaufrage", embossing its velvets with a hot cylinder walses in a range of ten motifs. Edelkoort has delved into an extensive archive of these copper cylinders — some dating back to the 1920s — all salvaged by Schellens from a Dutch factory just before it was about to be discarded. These contemporary and appealing patterns have been re-released by Schellens and used to upholster furniture by the renowned Parisian retailer Caravane for Mohair South Africa's stand at Maison & Objet (Ethnic Chic stand #B48-C47, September 7 - 11, 2012). According to some anthropological studies, the mohair carpets made by indigenous Anatolian and Kurdish tribes are among the most primitive knotted weaves. Mohair fleece — with its exceptional thermal properties — is knotted onto a hand-woven cloth, to create silky soft carpet-bedding useful to nomads during their summer migrations to high pastures. A millennial artform, Filikli designs are based on ancient geometric symbols of protection. Placed on the floor, or hung on the wall, these rugs with their characteristically brilliant colours give a powerful three-dimensional effect. Altai is Milan’s premier carpet gallery, selling a range of fine handmade rugs, including Filikli rugs; Altai owns one of the most important collections of antique Filiklis in the world, pieces that, when hung, become extraordinary works of art. In the 1990s, Altai also set up a workshop in Kurdistan to create new rugs created using age-old traditional techniques, and thus keeping nomadic traditions alive. These reinterpreted pieces are available in the natural colours of the Anatolian landscape, or in the vibrant colours characteristic of nomadic Filikli. D.I.Y.Y. 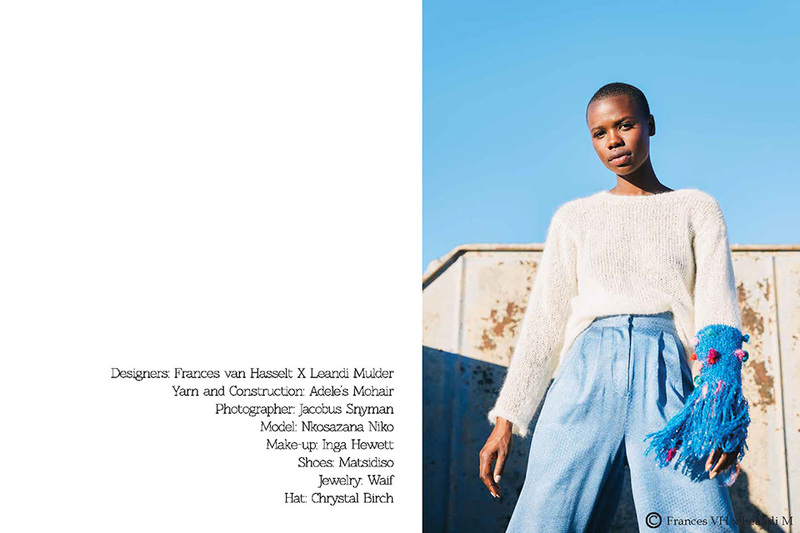 ( Do It Yourself Yourself) will exhibit the work of young designers, craftspeople and knitting collectives, including Edelkoort’s creative teams, Collectif France Tricot in Paris and Studio Chevalier-Masson from Belgium. Visitors will be able to see inspiring sample textile knitted objects in vibrant colours as well as a documentary featuring the samples, all choreographed into one stunning multi-media exhibition. The highlight of the stand will be the Guerilla knitting event when students and staff from the Elizabeth Galloway Academy of Fashion Design will celebrate creative knitting with D.I.Y.Y. 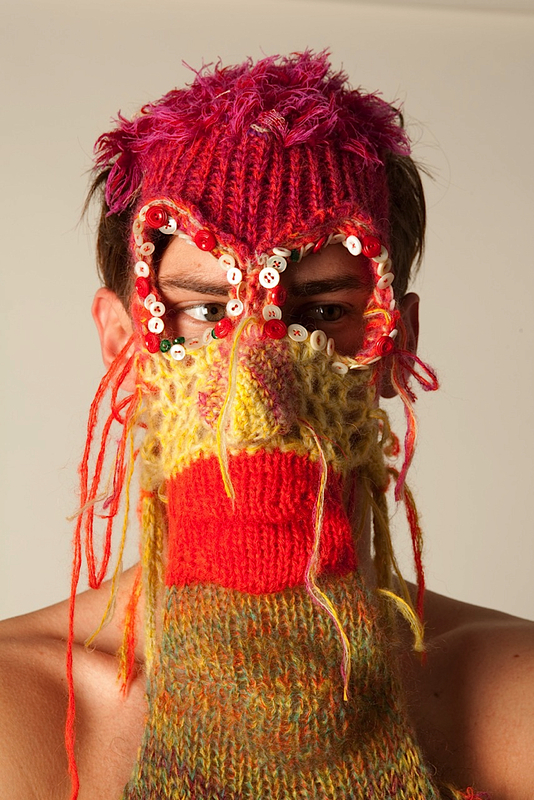 pop-up knitting sessions during the VIP preview on Thursday 1 March and on Saturday 3 March from 10:00 – 19:00. 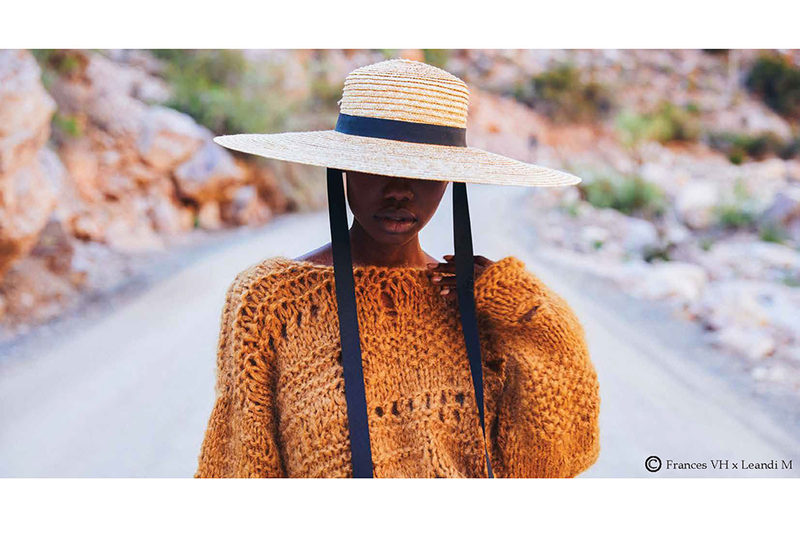 If you are in Paris and visiting Maison & Objet don't miss that from 9th to 13th September Mohair South Africa is exhibiting their 2011 Mohair Collection at their stand : Ethnic Chic Hall, stand # D24-E23. 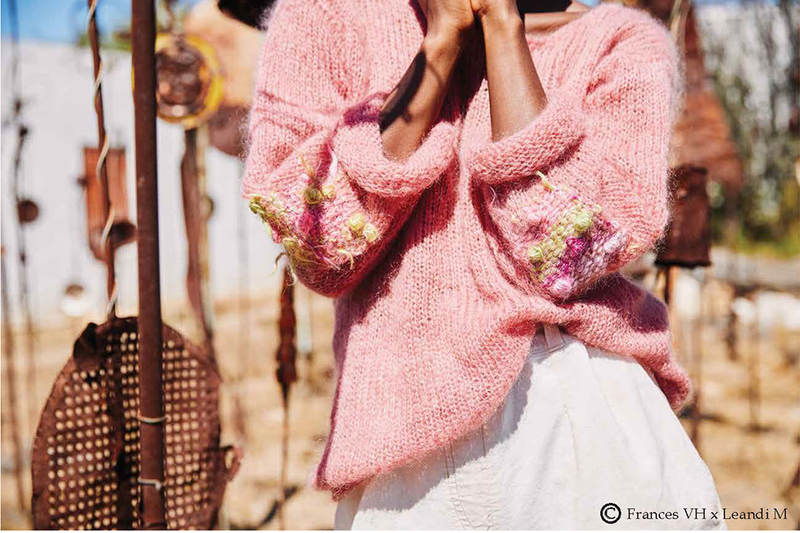 Beyond the images from science and technology that pop-up in our daily lives, the biological terrain of the body is an endless creative source for new textures in mohair. Fashion will become more anatomical and clinical, with a futuristic mood fit for a new era when we will seek to merge both brain halves. Textiles will mimic the epidermis, breathing and introducing the representation of other body parts such as organs, arteries, muscles and lungs straight from a medical drawing or computer rendering; their spongy and stringy tactilities particularly inspiring for knitters and weavers alike. Mohair jerseys can be shaped by compressive netting to bulge into organ-like shapes, while blending the fiber with polyamide is a brainy way to give jacquards a double layer for colored tubing fabrics. 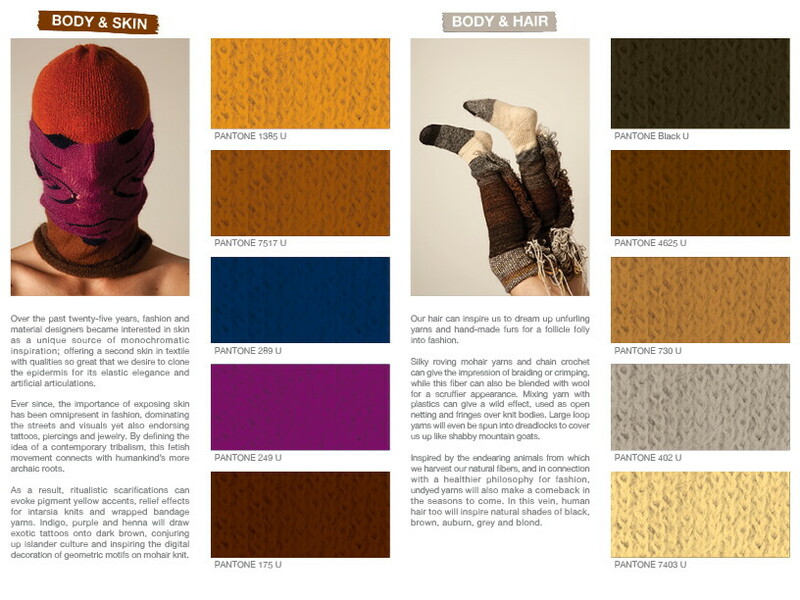 Color harmonies will turn to our flesh tones, from milky ivory to blush and brown. Deep blood reds will accent these neutrals and are especially handy for savvy accessories. 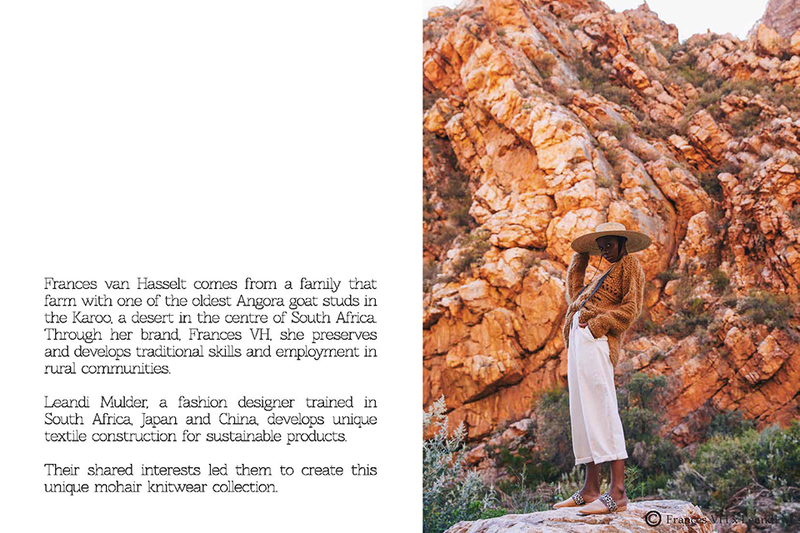 We have some lovely press articles about our work for Mohair South Africa . 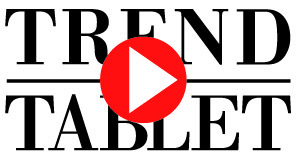 Please follow those links to read them on our scoop.it. 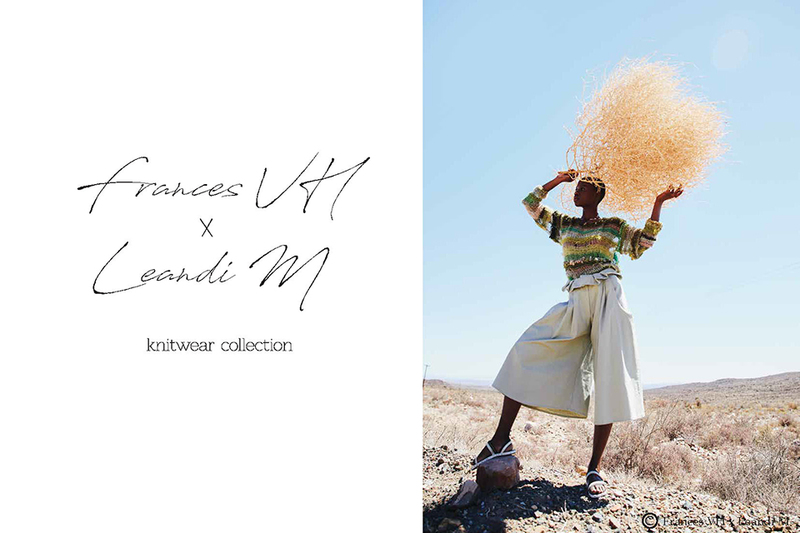 We are happy to share with you a preview of the Mohair South Africa Trend Forum in New York, and a teasing of the film done on the idea of collaborative "Do It Yourself Yourself " with Mohair Yarns. 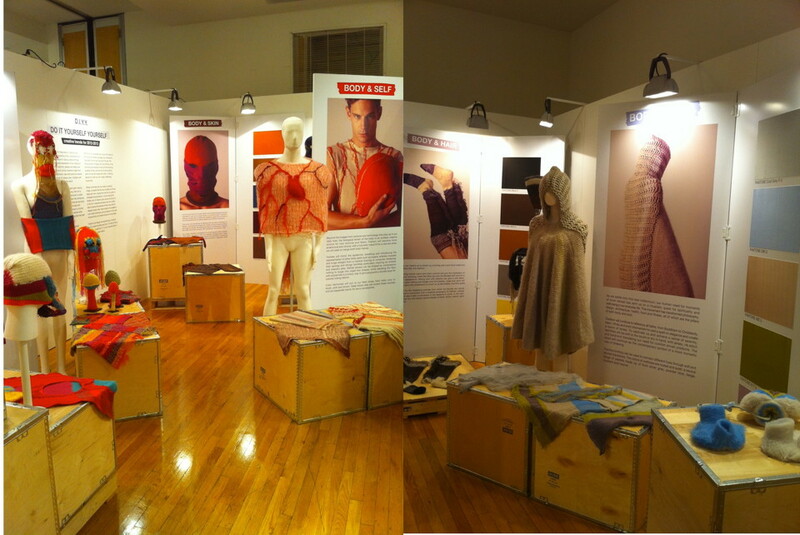 We invite you at Spinexpo N.Y on July 20 for a free Trend Seminar and in Shangai on september 6th. Knitting, breading, fringing and pom-pom making are now seen in all cultural spheres, from art to design to fashion to amateurs, and even in public space where guerilla knitters make lively temporary knit interventions. Knitting collectives are springing up everywhere, empowered by the web and bringing people together in response to a human need for sharing experiences and stories while creating craft. Even a World Knitting Day has been proclaimed!The D.I.Y. movement has indeed gained momentum, influencing more unique and personalized garments and accessories. In a wild expression of our collective creative survival instincts, people will rediscover the beauty of one-of-a-kind creations made from yarn, fringe, crochet, patchwork, embroidery and hand-knit pieces.With a hint of surrealism and humor, the trends of the future will literally dig deep into ourselves for inspiration; the human body and the soul. The fibrous texture of tissue, the fuzzy follicles of hair, the string-like strands of veins and the bouncing qualities of flesh and skin all provide a starting point for new techniques and colors. Creating a fashion to mirror our own image, celebrating humankind.Mohair is the fiber that can create our splitting image; a versatile fiber that can translate all of these ideas and more, ranging from silk-like furry yarns to entangled textured blends.It will be used as the fantasy yarn of choice to give volume and bring fun to the knit. Fashion and design are experiencing a revival of highly creative textiles and knits. The idea of doing yourself yourself (D.I.Y.Y.) is an innovative look at craft as never seen before. 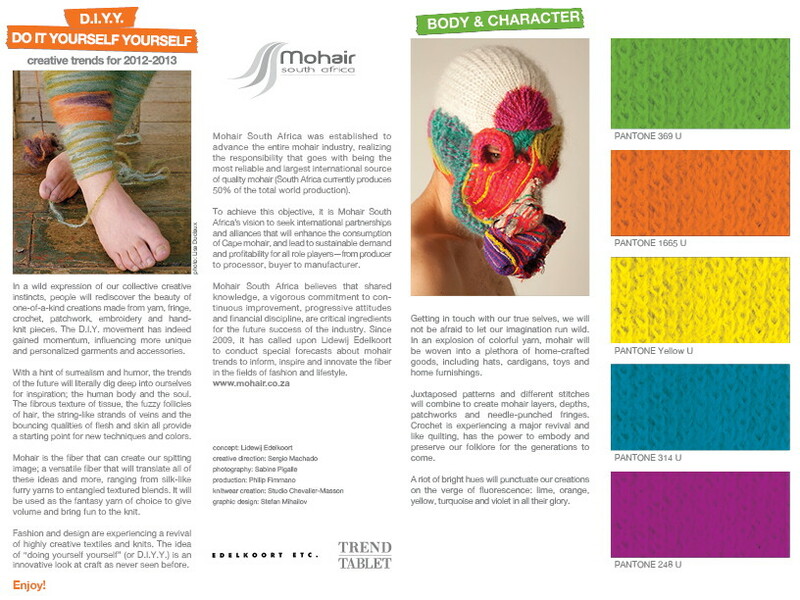 Mohair South Africa is happy to present this trend and color forecast at SPINEXPO in New York (July 18-20) and Shanghai (September 6-8) 2011.